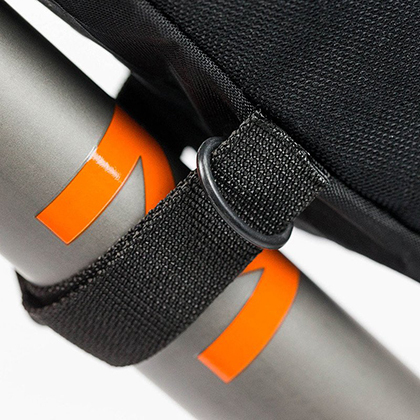 The Restrap Frame Bag allows riders to comfortably increase their carry load making it ideal for bike packing, touring and commuting. Super simple to install with fully waterproof zips and outer shell protect the contents in the harshest of weather. The #carryeverything Restrap Frame Bag features rubberised strapping to provide greater grip to the frame whilst not affecting the frames finish. The use of reflective paracord zip pulls give additional security whilst the inner mesh pockets keep items safe when on the move.